This is another dish from our brunch but one that I’ve made plenty of times before. I always seem to have the ingredients for this around so it makes it a nice, go-to breakfast. I love making this up on a lazy weekend morning and then re-heating the leftovers all week for breakfast. It’s especially awesome with fresh berries. 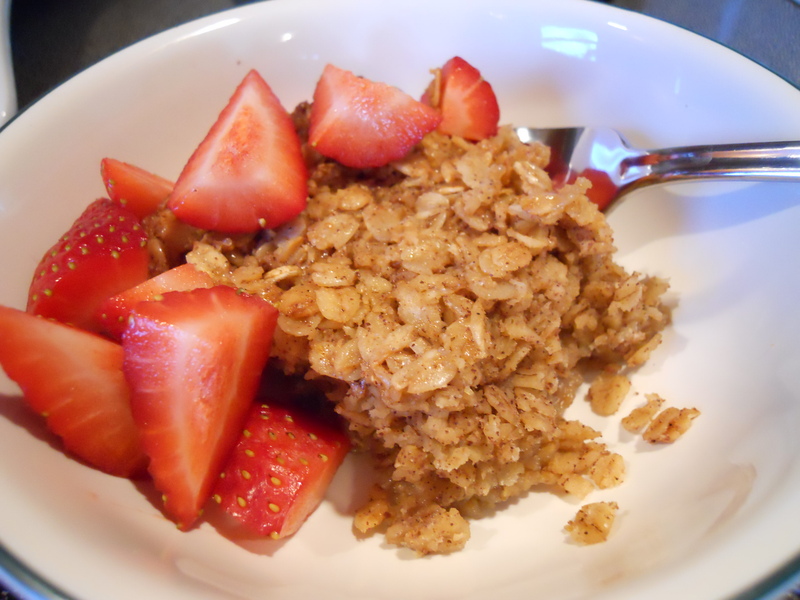 In a large bowl, combine the oats, sugar, baking powder, cinnamon and salt. In a small bowl, combine the milk, butter, vanilla and eggs. Stir into oat mixture until blended. Spoon into a greased 9-in. square baking pan. Bake at 350F degrees for 40-45 minutes or until set. Serve warm.